Good news for the pilgrims of Virginia. International Link Tours have designed Umrah packages for the Muslims living in Virginia who want to go on a divine journey of the lifetime. This spiritual journey is for all those pilgrims who are seeking a lavish and lighthearted expedition to the holy cities of Makkah and Madinah. Visiting Holy Kaabah is the ambition of every Muslim. We will make your dream come true with our extensive and customizable travel packages which will definitely be in your reach. When Allah SWT places the desire of going to Umrah in your heart you really wish to go. You crave to go on this soulful journey, but you don't know how to go, where to go and with whom you go. This is where we come to plan for you and provide exquisite services. We obliged to provide all services just for the sake of Allah SWT for His honored servants. The Muslims community of Dale City, Ashburn and Arlington are really generous and religious who actively participate in charities and Islamic conferences. We will be privileged to assist these true Muslims on their Umrah trip. More than millions of organizations are providing pilgrims services, but what they present you on your expedition is more than a nightmare. What they bring to you is quite different from what they really do in Makkah and Madinah. We only say what we actually present. 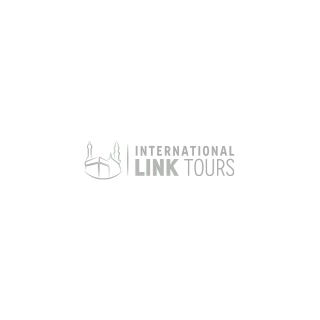 The special services provided by International Link Tours start from the instance you register with us. We prepare you for Umrah before going for Umrah. We arrange an orientation and training classes for you. If someone is unable to attend sessions reading material is provided beforehand for thorough preparation. So satisfy your spirits and souls to us and have the experience of a lifetime. We have years of experience, pure devotion, and true commitment to serving the visitors of Allah SWT. Virginia Muslims enjoy the holiday season in December which makes it the most appropriate time of the year to perform Umrah. Get near to Allah SWT and boost your Iman coming holiday season and avail this opportunity. Take your parents with you and bless them with an excursion to Allah's home to receive a boundless reward. Enjoy the best expedition of your lifetime with your partner and family. We at International Link Tours care for everyone with something great! Air-conditioned and comfortable transportation service from Jeddah to Makkah and Madinah then back to Jeddah.